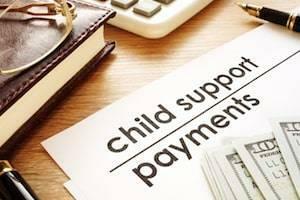 Illinois child support payments are determined by the “income shares” method, meaning that each parent pays a portion of the child’s expenses based on their share of the parents’ combined net income. When both spouses have stable annual salaries, this calculation is straightforward. But what if your or your spouse’s income fluctuates significantly from month to month or year to year? After a slew of changes to the Illinois Marriage and Dissolution of Marriage Act (IMDMA) in 2016, families had to adjust to the new divorce laws. Now there are some new changes on the horizon – this time to the way child support is calculated in the state of Illinois. What will this mean for your case, and how can you effectively prepare? The following information explains further. Under the old child support calculation model, supporting parents paid a percentage of their net income to the receiving parent. That percentage was based on the number of shared children. For example, the paying parent would be obligated to pay 20 percent of their net income for one child, 28 percent of their net income for two children, 32 percent for three children, 45 percent for four children, and 50 percent for five or more children. Other factors, such as special needs, extra expenses, and healthcare costs might be added into the equation, but the formula was generally adhered to by the courts, except, perhaps, in high net worth divorces.